Carry Caddy, Miss Bunny | Great Little Trading Co. This irresistible bunny is very practical as well as being super sweet; it's the ideal portable home for stationery and art & crafts, but we suspect your little one might just put all sorts of other things in there too. 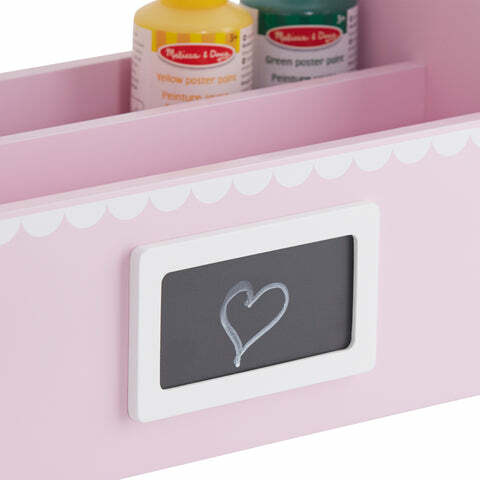 It has a blackboard label and three storage sections, and it’s made of thick, painted MDF. 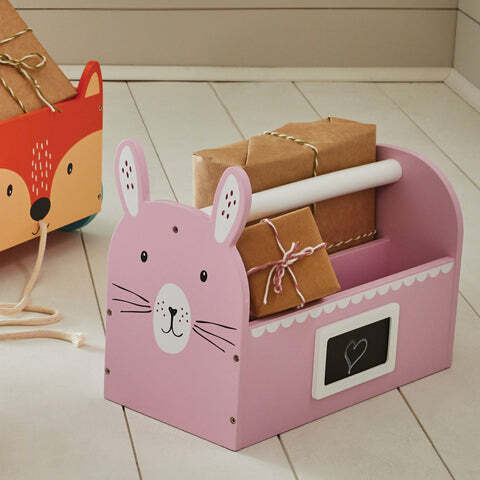 Our Bunny Hop design also features in our range of Children's Bedding and Rugs; we also love our Miss Bunny Book Storage Cart and Bunny Hop Stacking Toy Box.